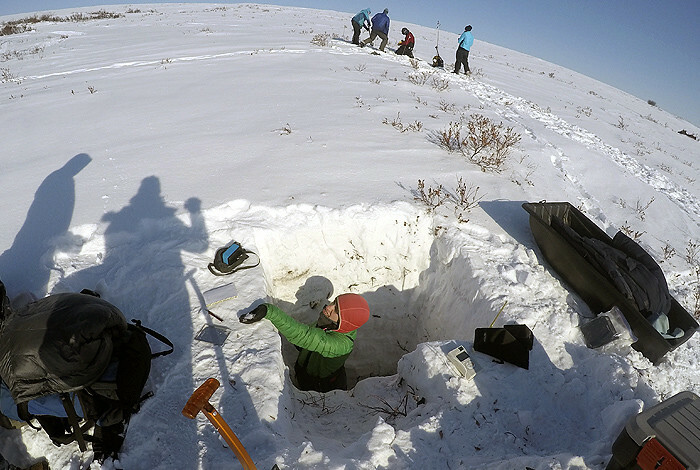 LOS ALAMOS, N.M., Oct. 17, 2018—A new collaborative study has investigated Arctic shrub-snow interactions to obtain a better understanding of the far north’s tundra and vast permafrost system. Incorporating extensive in situ observations, Los Alamos National Laboratory scientists tested their theories with a novel 3D computer model and confirmed that shrubs can lead to significant degradation of the permafrost layer that has remained frozen for tens of thousands of years. These interactions are driving increases in discharges of fresh water into rivers, lakes and oceans.